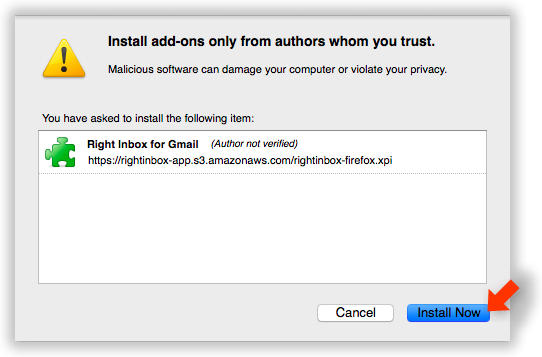 Click here to download Right Inbox browser extension for Mozilla Firefox, if it hasn’t started automatically. Are you looking for Google Chrome or Safari? Click Allow to confirm at the top-left corner of the window. Another popup will ask for your confirmation. Click Install Now to finish installation. Click Restart Now button to put the changes into effect.